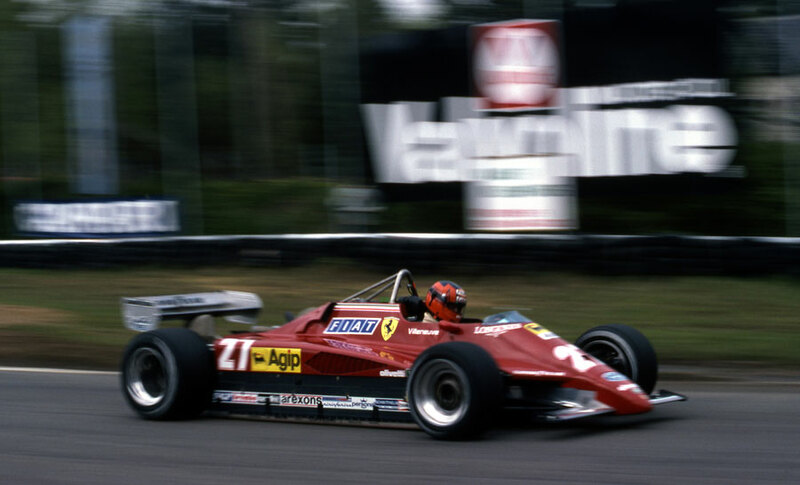 John Watson won the Belgian Grand Prix at Zolder but the weekend was completely overshadowed by the death of Gilles Villeneuve when his Ferrari crashed during qualifying. Villeneuve arrived in Belgium still livid over what he saw as Didier Pironi's skullduggery in winning at Imola a fortnight earlier. In practice, Pironi set a time 0.1 seconds faster than Villeneuve and it was while trying to better that that Villeneuve died. Ferrari withdrew following the tragedy, and the race was conducted in an understandably sombre atmosphere. Rene Arnoux led the early stages in his Renault, with Keke Rosberg in the Williams-Ford running second ahead of Alain Prost. Watson, who had opted for a more conservative tyre choice, slowly closed the gap and his strategy proved to be well judged. As other drivers felt their tyres lose their edge, Watson moved up the order and was third when Andrea de Cesaris stopped with broken gear linkage. Rosberg's lead was eaten away as his rear brakes all but disappeared, although he managed to hold on until the penultimate lap when he slid wide through a right-hand turn, allowing Watson to grab his chance. McLaren's already-muted celebrations were further quietened when Niki Lauda, who finished third, was disqualified as his car was found to be 2kg underweight.